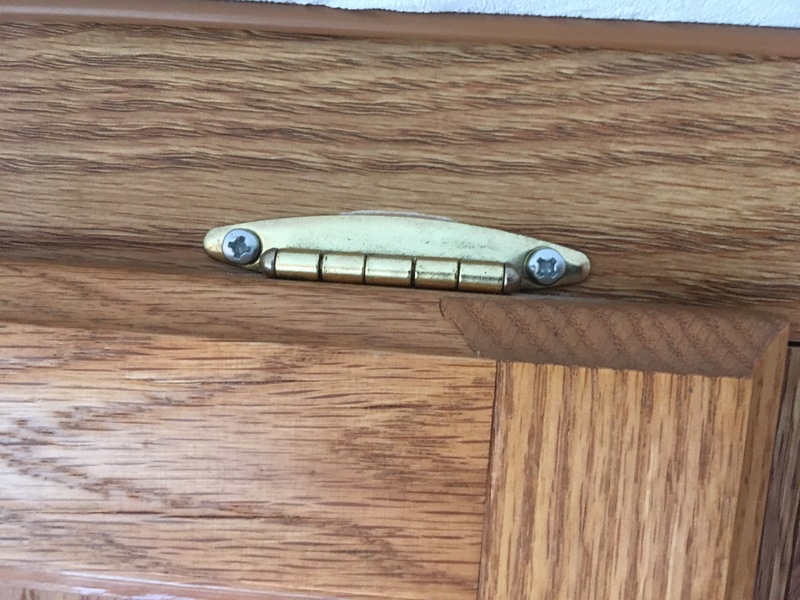 Fixed a cabinet hinge, waited out a rainstorm, did some computer work, staying in an overflow parking lot for an old-folks home. Just a day in the life. First off, staying in the high school parking lot last night served me well. I was able to sleep in until I got up naturally (about 6:30am), and I felt rested. Had breakfast, did some computer work, and headed out on the road. 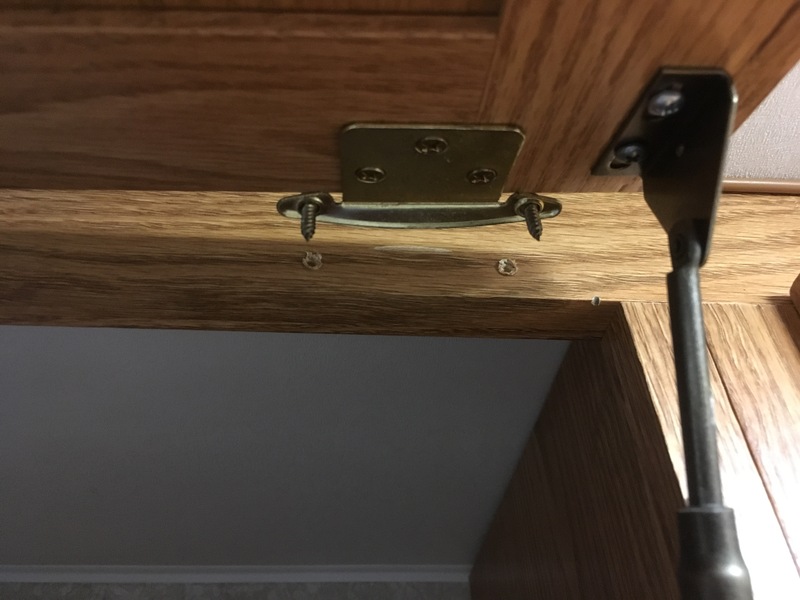 When I stopped for lunch, I noticed one of my cabinet doors was hanging crooked. 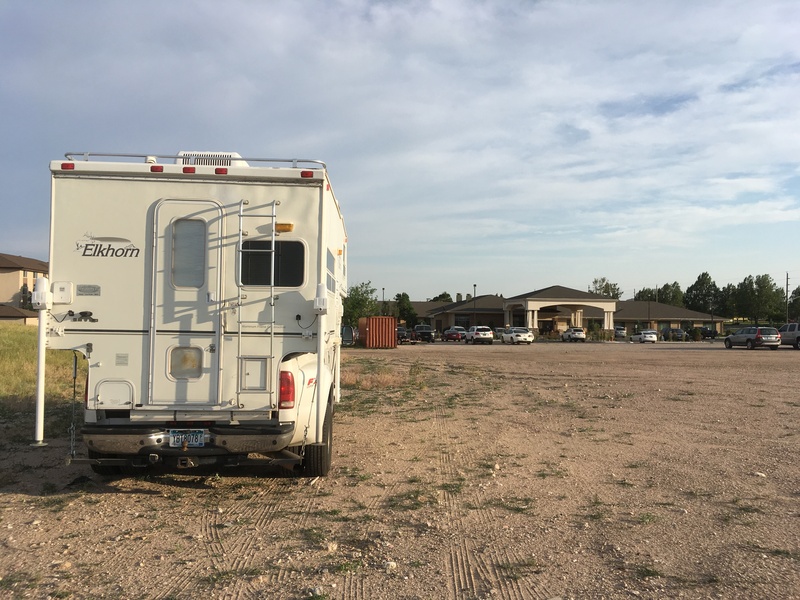 RVs being what they are, experience nearly constant earthquakes for hours at a time, every single time you drive. It’s amazing they hold together at all. I brought tools and a few supplies with me, so I replaced the screws holding the hinge in place, and all is well with the world again. Continuing on down the road, my first bit of rain came up. The rain wasn’t so bad, but the winds were significant. Although I probably could have driven through it, I chose instead to take a break and grab some fast food for dinner. My first eating-out instance on this entire trip so far. 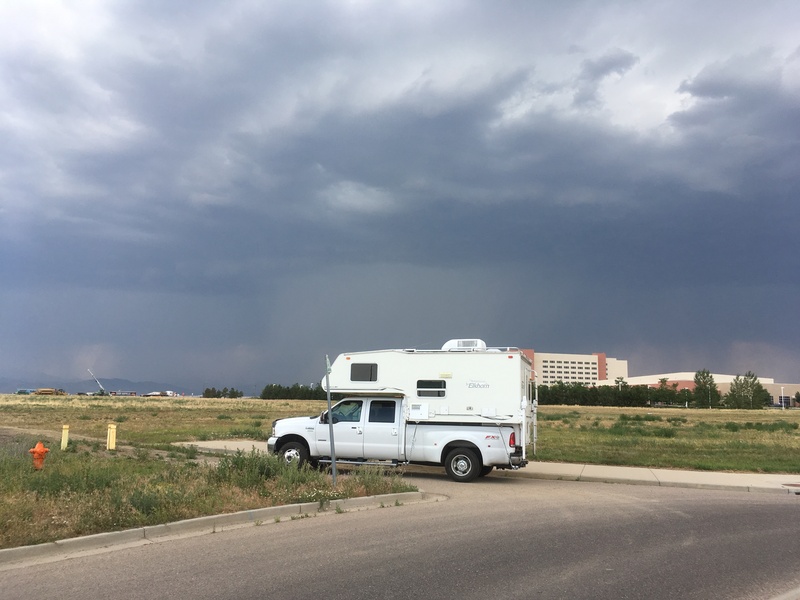 After the rain subsided, I trekked on for another hour or so to the next town, Cheyenne, WY, where I’m spending the night tonight. I searched google maps for a Target store, and while on the way there, I found a huge complex of suburban shopping centers. I picked a fairly vacant and mostly level spot, but I just didn’t like it that much. Too much traffic or something. Of course, it was only about 5:30pm at the time, so that’s expected. Utilizing google maps some more, I found a dirt (mostly sand) field connected to another large parking lot and it looked like it had a few shipping containers and lots of cars along one end but was mostly empty. Turns out it’s connected to an old folks’ home. Works for me! I don’t think anyone’s going to bother me tonight, it seems to be a rather unregulated area, and I’m far enough away from busy roads and commerce that those noises shouldn’t be an issue either. I did just have a crow walking on my roof, that was an odd noise. For my own reference, the coordinates are: 41.16636, -104.808. You do find interesting places to park!